Cellulite affects 80-90% of women. Around 10% of men get cellulite too. Cellulite is caused due to the weakening of the fibrous bands which connect your skin to your muscles which then causes fat to push through. However, it doesn’t matter whether you are skinny or overweight, cellulite can affect you (1). While doctors aren’t 100% sure why exactly cellulite happens, it’s believed to be mostly due to genetics, hormone changes, a sedentary lifestyle, pregnancy, and aging. Having said this, even people in their late teens can get it. Being overweight and eating an unhealthy diet can also increase the likelihood and appearance of cellulite. Cellulite looks like dimples or lumps in the skin and can be found across the buttocks, thighs, stomach, and arms (2). Despite being totally normal and completely harmless, many feel the need to cover up their cellulite or try expensive ineffective creams, serums, and gels. Who doesn’t want perfectly smooth skin? While there are non-invasive cosmetic procedures and the option of cosmetic surgery, the reduced appearance of cellulite isn’t permanent, the most effective solution only lasting a maximum of 2 years. There are some things that you can do to naturally reduce the appearance of your cellulite permanently. 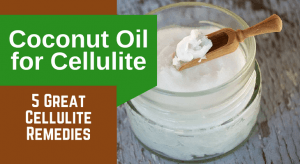 Coconut oil for cellulite is a common natural remedy, but does it work? Does Coconut Oil Help Cellulite? There isn’t research on whether coconut oil for cellulite really works although according to Superfoodly coconut oil for stretch marks and cellulite is a scam due to the lack of evidence and many people saying that it didn’t work for them (3). Coconut oil is very moisturizing which improves the health and elasticity of the skin due to its anti-inflammatory, anti-aging, and antioxidant properties which may improve the appearance of cellulite in some people. Coconut oil works well as a massage oil. Massages improve circulation which is helpful in reducing the appearance of cellulite. Coconut oil is a great carrier oil for other remedies like essential oils that help for cellulite. Coconut oil can help for weight loss in that fat is digested slower which keeps you fuller for longer preventing overeating. The first thee Coconut oil for cellulite remedies can be used daily, even twice a day if you prefer. Coconut oil as mentioned above is a great moisturizer. Coconut oil is an excellent oil for massaging as well because it tends to take a while for your skin to absorb it. When you use it, remember that a little goes a long way, so don’t use too much. Massage it into your skin using circular motions or sweeping strokes in the direction of your heart. Do this every day, preferably after a shower since the warm water will have increased your circulation too. Essential oils can help for cellulite because some of them either encourage the removal of toxins, help for water retention, promote good blood circulation, and provide healthy nutrients that can tighten the skin or thicken it so that it looks more healthy and stays younger. Add 2-20 drops of essential oil per tablespoon of warm coconut oil. Massage the mixture into your skin. Citrus essential oils (specifically lemon, mandarin, and grapefruit essential oil), juniper, and lavender are good choices (4). Note: Just be careful when using citrus essential oils as they increase photosensitivity meaning you will burn more easily in the sun. Rather use them at night. Dry brushing over time helps to keep the skin free of dead skin cells and glowing due to improved blood circulation and many find that their cellulite is reduced as well. While you would typically do dry brushing on dry skin before you shower or exercise, you can also do it using coconut oil after your shower. To do this type of dry brushing, you need to shower first. Then apply some coconut oil. Take a dry brush (avoid synthetic bristles) and in circular or sweeping motions go over your skin in the direction of your heart. Don’t push down to hard as this will hurt your skin, but make sure you feel a brushing sensation. Do this for 5-10 minutes. If not all the coconut oil is absorbed, massage it into your skin. Caffeine, specifically, has been proven to reduce the appearance of cellulite, especially when in combination with retinol (vitamin A) (5). Ground coffee beans make an effective scrub for getting rid of dead skin cells and increasing blood circulation. You can also add helpful essential oils and/or sugar. Brown sugar is gentle enough to use on skin to exfoliate it and is gentler than white sugar. Brew your coffee as you normally would, and then instead of throwing the coffee grounds away, use them for your scrub. You can add about ¼ cup of coffee grounds per 3 tablespoons of coconut oil. Add one of the essential oils mentioned or for vitamin A, add some rosehip essential oil. 5-20 drops will do. If you would like to add in sugar, 3 tablespoons will do. Use it as a scrub and leave it on for a few minutes afterward. Do this 3 times a week. To boost the vitamin A content you can also combine the coconut oil with another carrier oil. Apricot kernel oil and avocado oil are good choices. Go 50/50 with the oils. This will also help the coconut oil to stay softer in cold climates. You can store your scrub in a glass container, preferably in a cool and dark place for a week or two. Though this might sound gross, you can eat coconut oil by itself or add a spoonful to your coffee. You can also cook with it and bake with it, add it to smoothies, you can even use it as a substitute for butter on bread. Though cellulitis might sound the same as cellulite, it’s a completely different condition and unlike cellulite, is harmful. It’s caused by a staph infection and symptoms include swelling, blisters, rash, and sometimes fever and sensitivity to touch. It usually occurs on the lower leg. Coconut oil can be used as a treatment due to its antibacterial properties (6). Because cellulitis can lead to permanent defects, if you do suspect that you have cellulitis, you should see your doctor. Use Virgin Coconut Oil if possible, it has more of the awesome benefits such as antibacterial properties. It also treats skin conditions like psoriasis and eczema. Highly processed coconut oil sometimes contains damaged fatty acids which are harmful to your arteries and heart and is something that your skin can do without. Buy only reputable brands. Don’t put your clothes on immediately after applying coconut oil as it will get onto your clothing. Wait 20 minutes if possible. 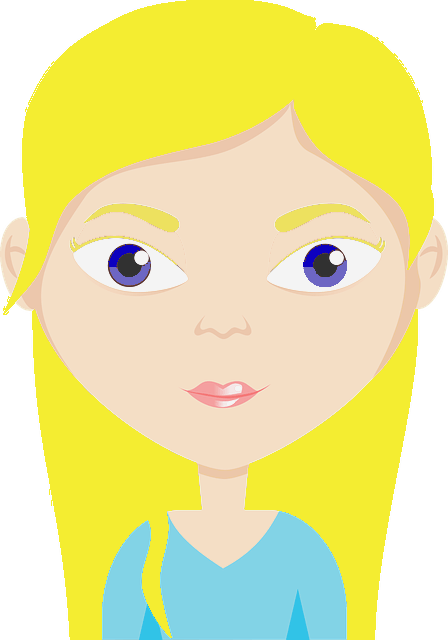 These remedies won’t work overnight, be patient and consistent. Over time you will see the results. Keep using these remedies for maintenance. Exercise regularly. Strength training is especially beneficial as it can create good muscle tone and reduce the appearance of cellulite. It will also help with weight loss if needed. Stay well hydrated. Water and herbal teas are great for staying hydrated in all kinds of weather. Eat healthy foods. Eat a wide variety of fruit, vegetables, beans, and whole grains. Cut down on meat and dairy as they can cause hormone imbalances which can worsen cellulite. You may also use apple cider vinegar to treat cellulite. Try to keep your stress levels in check as it also impacts your hormone balance. Do things that you enjoy and try meditation and practicing gratitude to lower stress. Get enough sleep. If you don’t get enough good quality sleep it shows on your skin. Your hormones will also be imbalanced and you run the risk of overeating. Please let us know if you found these coconut oil remedies helpful and let us know what your cellulite reduction tips are. If you don’t like coconut oil, don’t worry, you can try one of these cellulite remedies instead.